Fresh from the inbox; new super soaker stuff from Hasbro! There’s nowhere to hide from the ultra-wide spray of the NERF SUPER SOAKER SCATTER BLAST water blaster. Simply slide the pump forward to load and pull back to release the power of five blasts of water, up to 25 feet! Available at most major toy retailers nationwide and on HasbroToyShop.com. Ready, aim, soak! 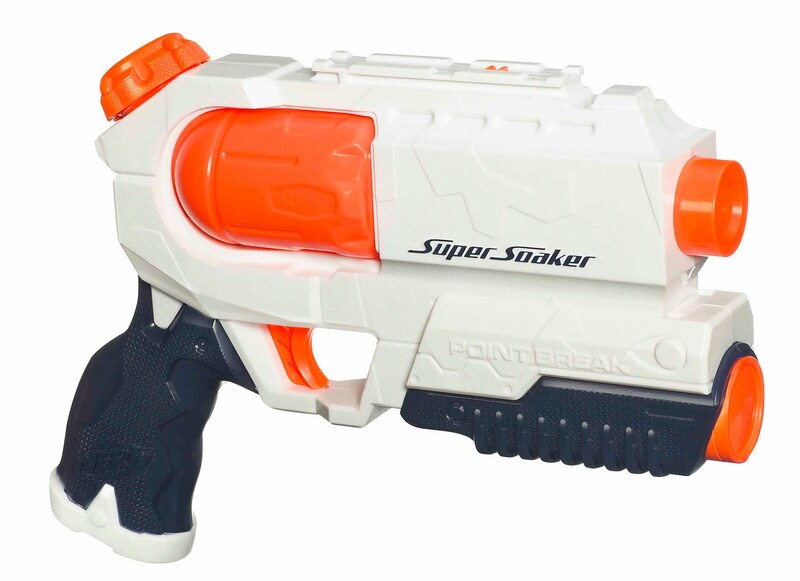 Always be prepared for a water fight with the compact and portable NERF SUPER SOAKER POINT BREAK water blaster. Using pump to fire action, surprise your friends with a steady stream of soakage. Available at most major toy retailers nationwide and on HasbroToyShop.com. 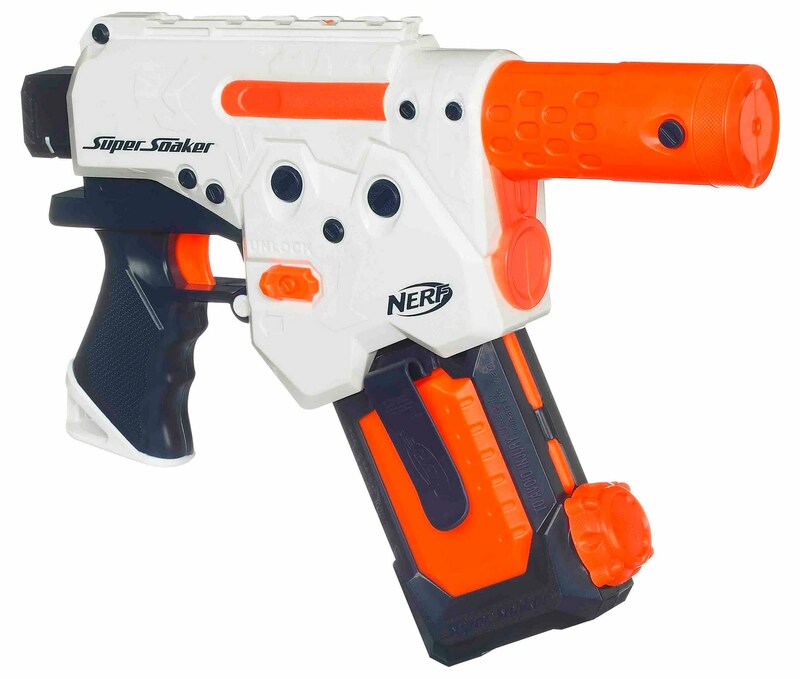 Severe storm warning: the blasting capability in the NERF SUPER SOAKER THUNDERSTORM water blaster, the first ever battery powered SUPER SOAKER, will send rivals running for cover. Fire a continuous stream of soakage, no pumping required! 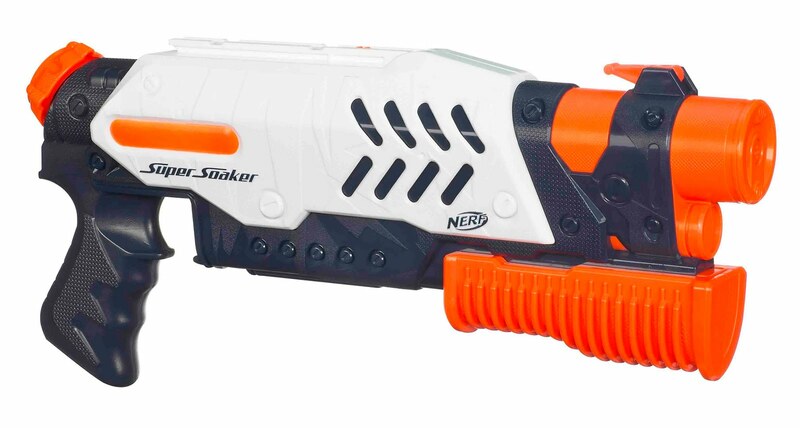 For lightning-fast reloads on the go, use the new NERF SUPER SOAKER CLIP SYSTEM refills. Requires 4 “AA” batteries, not included. Available at most major toy retailers nationwide and on HasbroToyShop.com. 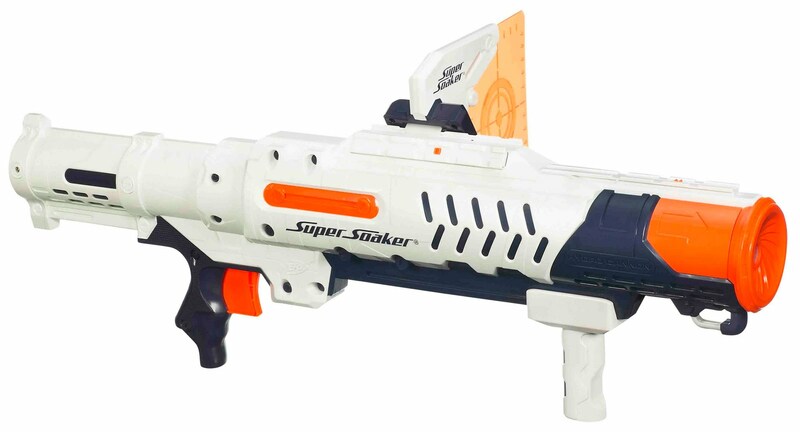 Blast your enemies from up to 35 feet away with the massive power of the NERF SUPER SOAKER HYDRO CANNON water blaster. Simply pump to pressurize then pull the trigger to let loose a massive burst of water. Customize your HYDRO CANNON water blaster with the detachable shield accessory, included. Available at most major toy retailers nationwide and on HasbroToyShop.com. That’s it for now! Take care you all!